For smaller diameter towers a visual check of tray deck levelness is sufficient. 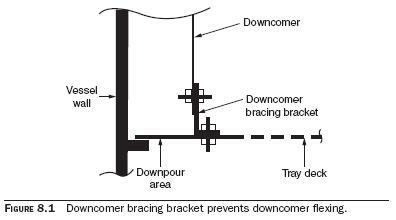 For two-pass trays, a small diameter tower is less than 8 ft.
For single-pass trays, a diameter of less than 6 ft is small.For towers of 10 ft or more in diameter, check for out-of-levelness of a tray check using a carpenter’s laser level, available in hardware stores for about $40. Purchase a level that has short tripod legs. Use the bubble to level up the legs. Set the level on one end of the tower, and check the height of the red beam at the other end and at the center of the tray for out of levelness. As it is often dim and dusty in the tower, the trace of the red laser may be clearly visible. Low points and areas of the tray deck which are out of level can now be easily identified. 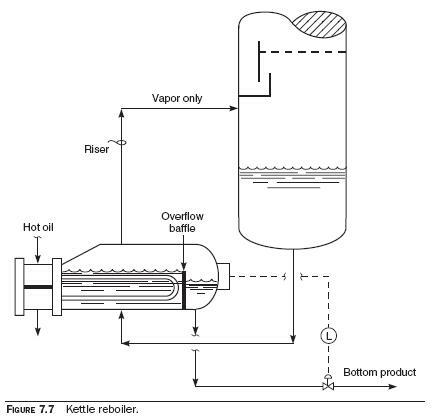 The more level the tray, the better the mixing efficiency between vapor and the liquid. Certainly, if the tray out-of-levelness is greater than the height of the weir, tray efficiency will be badly degraded. Checking for weir out-of-levelness is easy. Set the laser level on the edge of the weir. Using the bubble glass level indicator, adjust the laser level to a true horizontal position. The line of red light compared to the top of the weir will indicate how much of the weir is out of level. 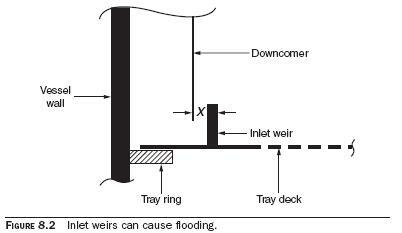 A weir that is more than 0.5 in out of level should be re-adjusted. 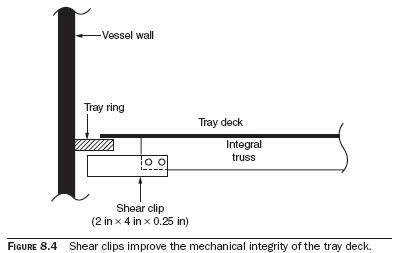 If it is not, stagnant liquid pools behind the higher section of the weir, as described in the prior chapter, will result and ruin the tray‘s efficiency.